Pulse candy has done what many businesses can only dream of. It’s achieved something that makes for enduring branding case studies and gets discussed in the years to come. Unless you have been living under a cave, you’d have heard of it. On the face of it, the Pulse is another candy in the burgeoning sweets market in the country. But it’s no ordinary candy. It’s almost become a cult. It’s got people raving about it, addicted to it, craving for it. There are entire tweetstorms devoted to the candy. And this miracle candy does it all for a rupee. However this one rupee candy has managed to fetch its producers, DS group (Of the Rajnigandha fame), a cool 100 crores in revenues within 8 months of its launch. That’s roughly 100 crores candies sold in 8 months. The 100 crores revenue has beaten the record of another phenomenon, Coke Zero. So what makes Pulse the phenomenon it’s become? It’s a normal hard boiled candy and candies have been around forever. There’s the classics – Mango bite, Alpenliebe and then, the ubiquitous Eclairs. But its ardent fans would beg to differ. This Pulse candy is totally worth the hype. For starters, Pulse is made up of rock salt in mango flavoured shell. On the first taste, it’s another tangy-sweet candy much like the Swaad, but the climax comes just when you bite into the candy and a burst of the rock salt flavoured mango hits. Here’s a user who’s tried to demonstrate the Pulse effect with a vine. Some could say it evokes a certain nostalgia from the summers when mangoes sprinkled with rock salt were the order of the day. And more incredibly, Pulse runs no ads. It’s got where it has mostly through word of mouth marketing and social media. 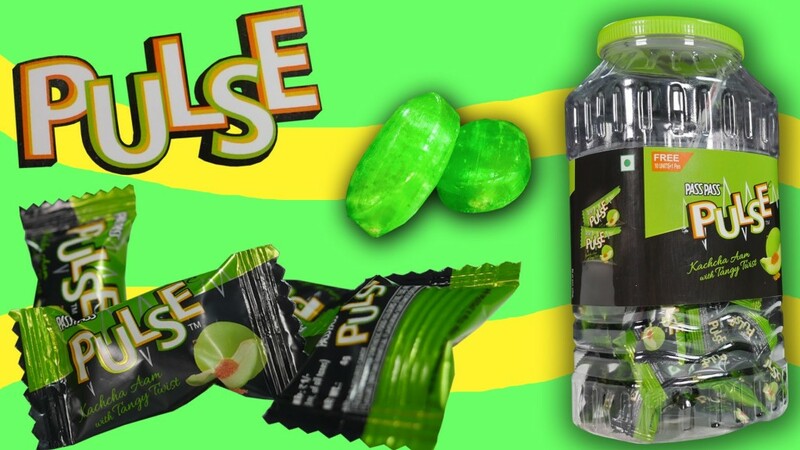 If there was ever a brand that had the pulse of the market, and had it going into a tizzy, Pulse candy it is.